Well it has been some time since I have added a post to my blog. The reasons have been varied but it has in the main been because I have not been riding. To busy and saving some cash. It’s time to start getting out there again. I did not venture to far but it was a good relaxing ride and I even mixed it up a bit with some dirt roads. I have been getting interested of late in prospecting and fossicking. I guess working in the mining industry for almost 30 years will do that to you. The fact is I used to pan for gold as a teenager, so really its been in my blood all along. While Motorcycles are my main passion, I may start to mix the 2. 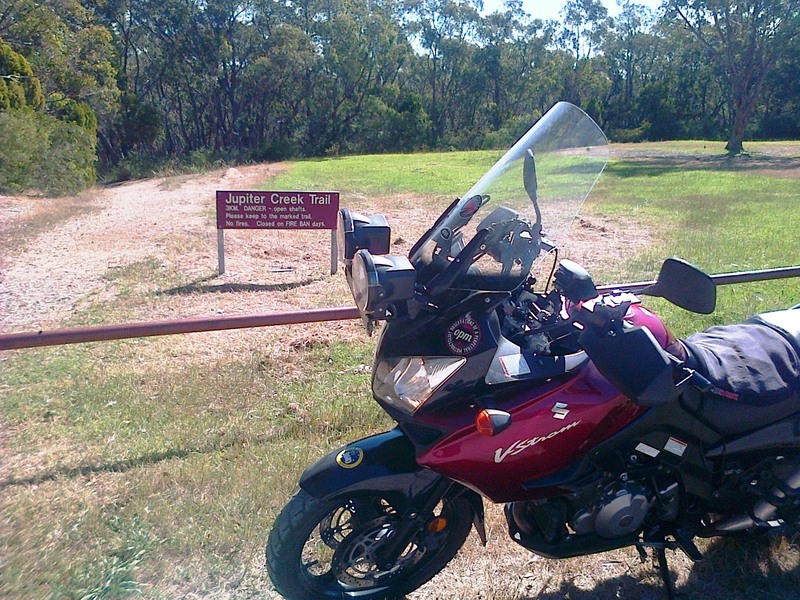 So this ride was a reconnaissance ride just to have a look about an old mining area close to home. I left home after lunch and headed north to Echunga. just before reaching there I turned off and made for Jupiter Creek. this meant a small amount of dirt road. 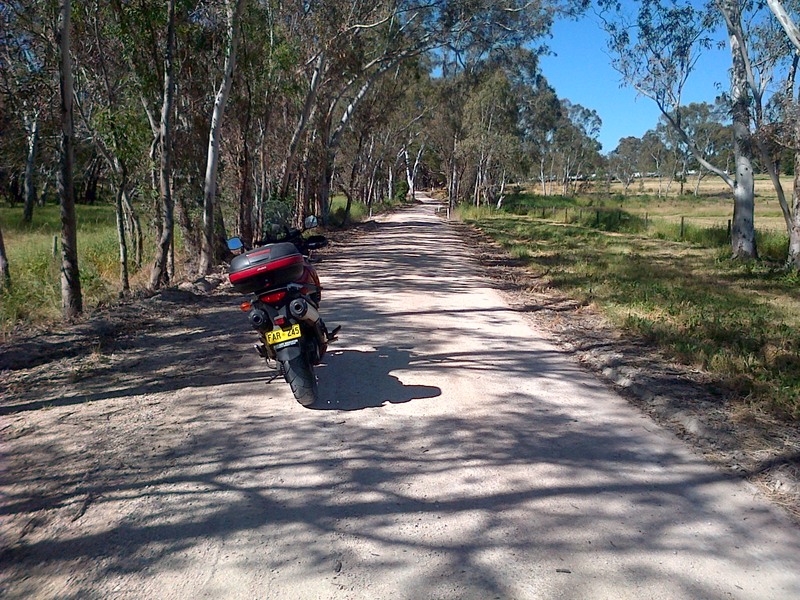 I am no stranger to dirt roads and have ridden several hundreds of kilometres on them, and plan to do some more on them later next year. It really is nice to get off the main roads and enjoy the bush. 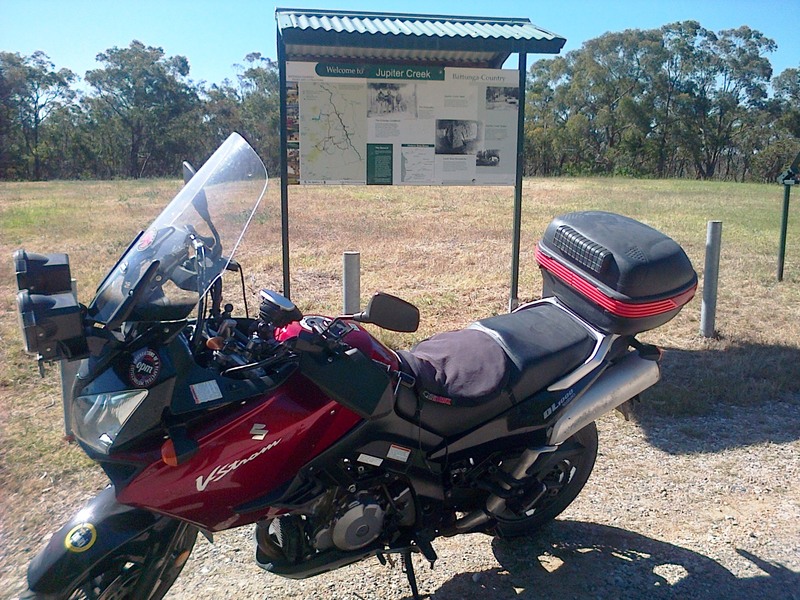 One of the best rides I have ever had was riding from Wilcannia to Minindee in NSW. Not a car for 200 KM. Jupiter Creek. Not much to see really. The old diggings area where the gold rush was is further up the road. This is the parking area and from here it is a 3km walk. The old miners must have had a real nose for gold or just seen the evidence of where it should be. Hard work and persistence paid off for a few, very few. but the lure and the dream kept them active. It truly must have been hard going. Even to find the location in heavy bush land must have been a task. Mind you I guess this was close to small towns compared to some goldfields. The start of the trail to the diggings. I will be back and will venture down the track for a first hand look at the area. Maybe the next lot of days off work. I returned home after a very enjoyable ride. 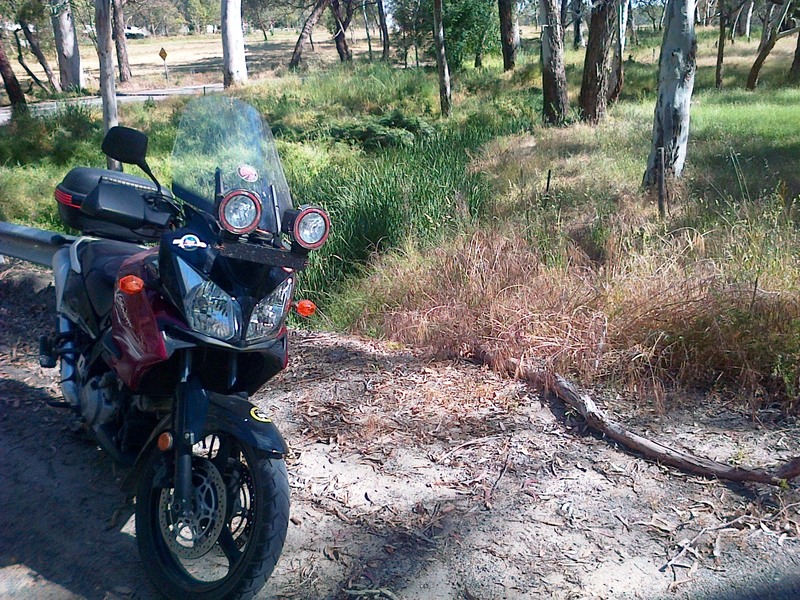 It was good to be back in the saddle… even for a short ride to the hills. 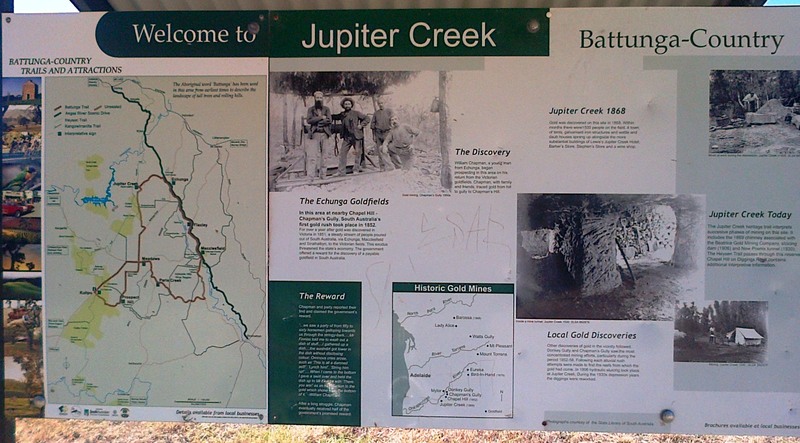 So in future posts along with my rides you may read a little of Australia’s mining history.